Today I am back with a new DIY and a very easy one at that. Some of you may already know how to make these and what to buy but maybe some of you don't, so if not then this is the post for you. If you have hair like mine (waist long or longer) than you always need a good hair tie. When I need to concentrate I have to have my hair up and out of my face. I don't know what it is, but when my hair is up it means I'm ready to take care of business. Also when it's really hot it's nice to be able to pull your hair up and off your neck and out of your face. 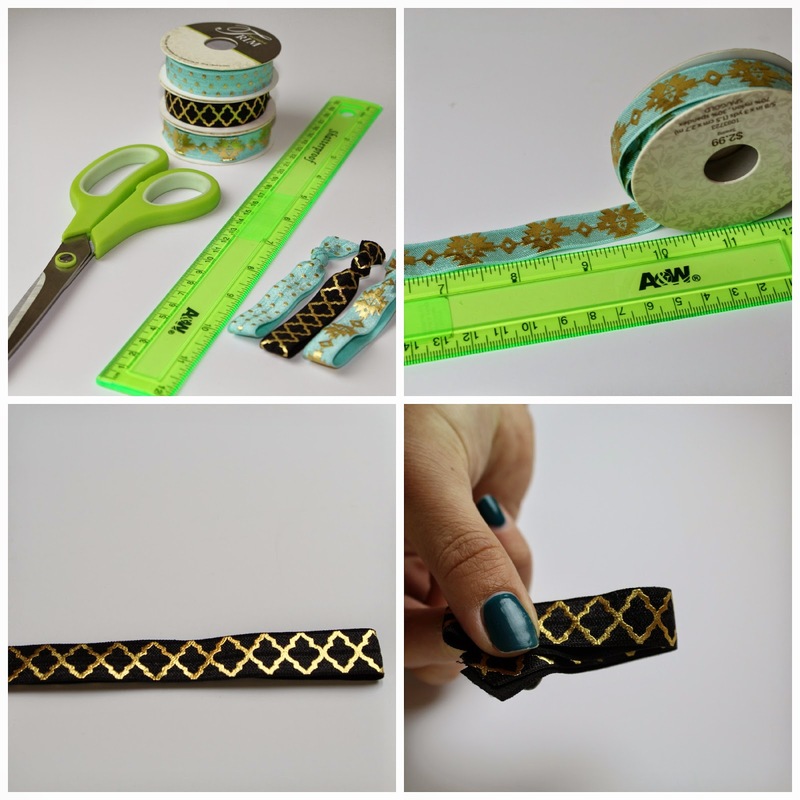 Again like most of my DIYs I bought the elastic from Hobby Lobby so if you like the designs I have check out your local store or online. This kind of elastic is easy to find these days at most craft stores since these type of hair ties have become rather popular. 1. Start off be measuring your elastic. I cut mine 10 inches. You can make them however big or small you want but I feel that 10 inches makes a nice size tie. 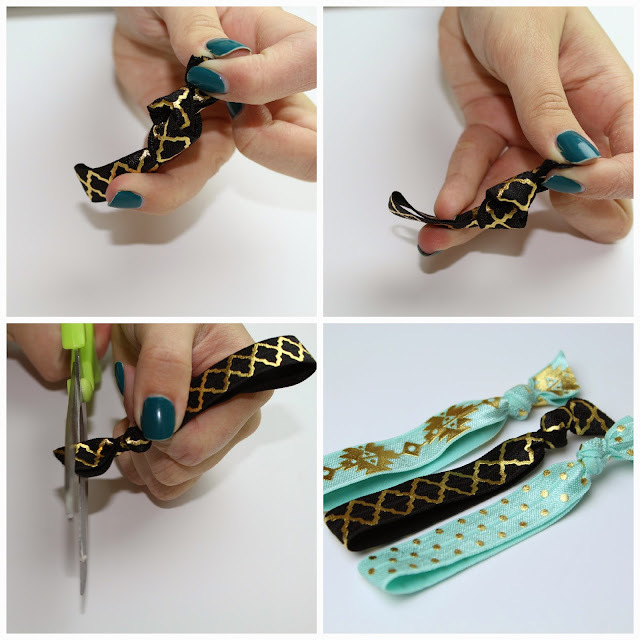 Remember that the knot will take away from the finished length so I recommend making it no smaller than 8 1/2 inches, unless you have very thin hair or are making them for children. 2. Once cut fold elastic piece in half. 3. Loop around and pull through the center. 4. Make sure to pull the knot towards the top. And tie tight. You don't want it to come loose. 5. Trim end. And your done! It's super easy.You don't need much skill, money or time. It's the perfect DIY project. And you can make a good few from one roll of trim. A lot better deal than buying them already made. Plus you can find different patterns and colors. Disclaimer: Any photos used are mine unless otherwise posted with a * . This post was 100% created by me. The opinions are 100% my own. If any of this is re-posted in any way give credit to TheChicCountryGirl. All images are copyrighted to this site.